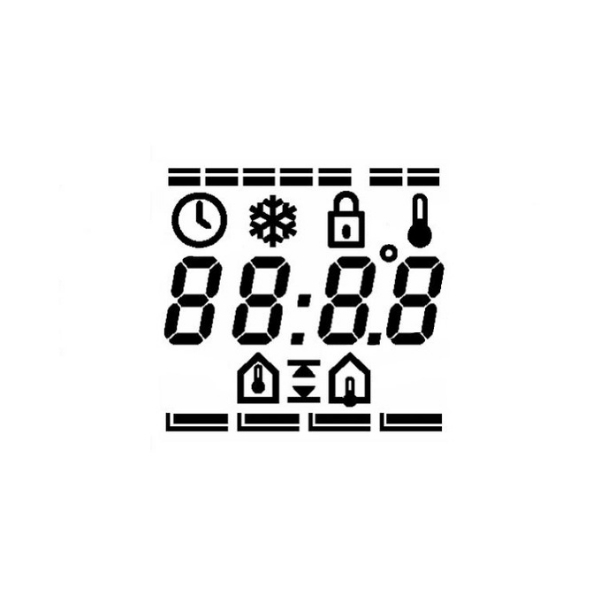 The DEVIreg 535 Programmable Thermostat is a digital timer thermostat that contains three functions in one: floor sensor, room sensor or a combination of the two. 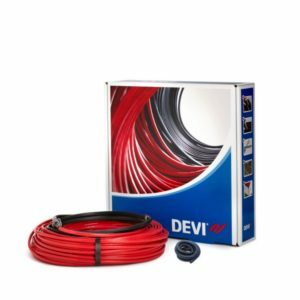 This thermostat can be used as a replacement for the DEVIreg 550. 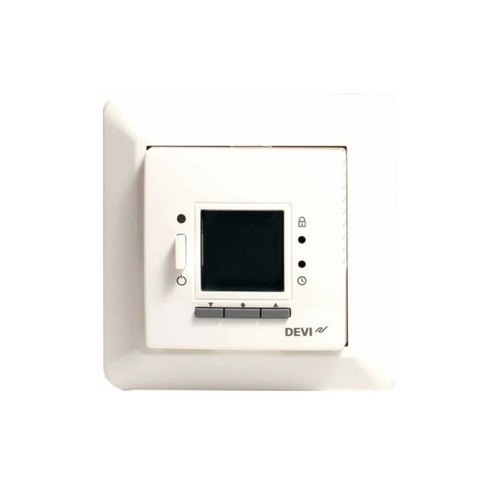 The DEVIreg 535 Programmable Thermostat is an intelligent electronic timer thermostat with a 2-pole switch that contains three functions: floor sensor, room sensor or a combination of the two. 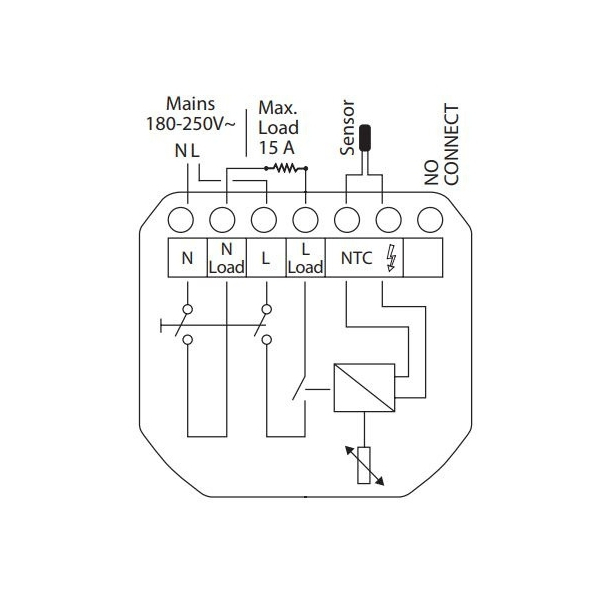 The thermostat uses the room sensor to control the room temperature and the floor sensor (wire) to limit the maximum floor temperature. The timer splits the day into 4 periods; morning, day, evening and night. 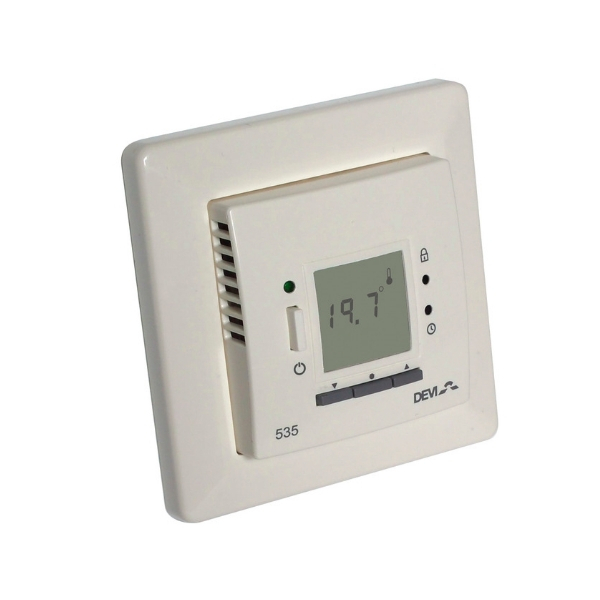 The thermostat can be either flush mounted or wall mounted. 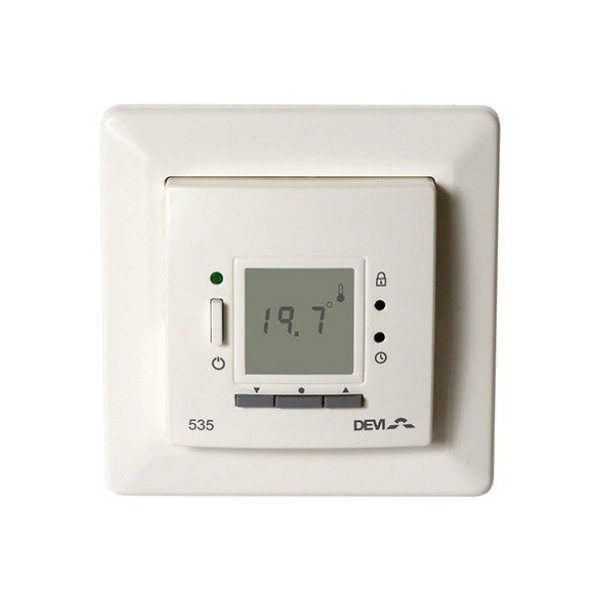 This thermostat can be used as a direct replacement for the DEVIreg 550 which is no longer available. 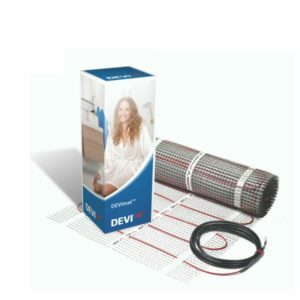 You may also be interested in our wet underfloor heating systems, click here to view.